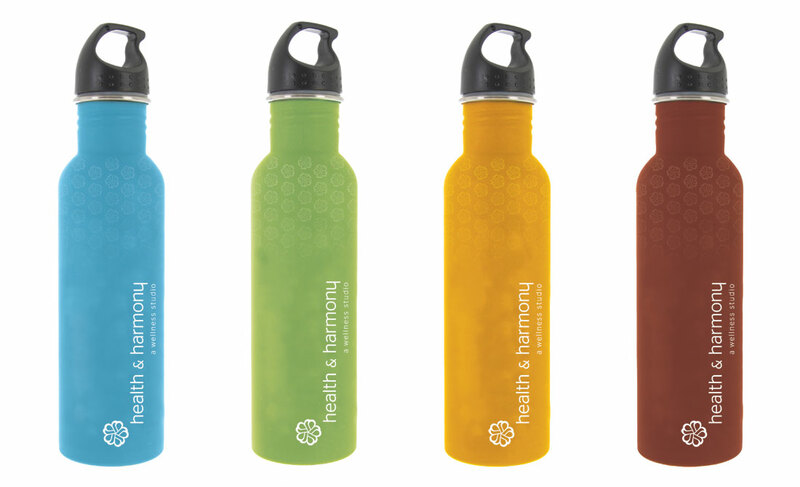 Health + Harmony is a wellness studio located in Cherry Creek, Colorado. The studio needed a cohesive brand identity that would help differentiate itself from other companies within the industry. An intensive brand exploration was executed. After an intensive research and moodboarding process, a study into color and symbology yielded a brand identity that was modern, yet relatable to the history that surrounded Health & Harmony's services. The logomark and bands used within designs are meant to portray different elements of an indivudal's energy coming together to form a central wellness. 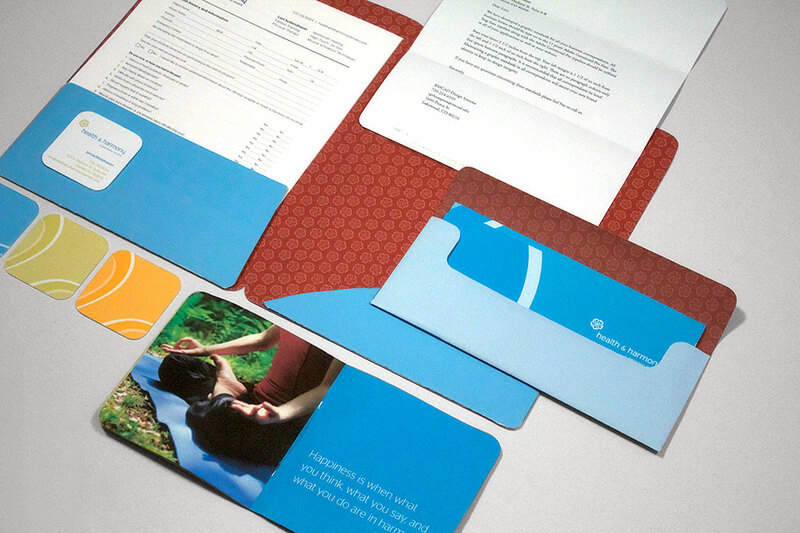 The broad color palette also introduces a visual energy to the brand. 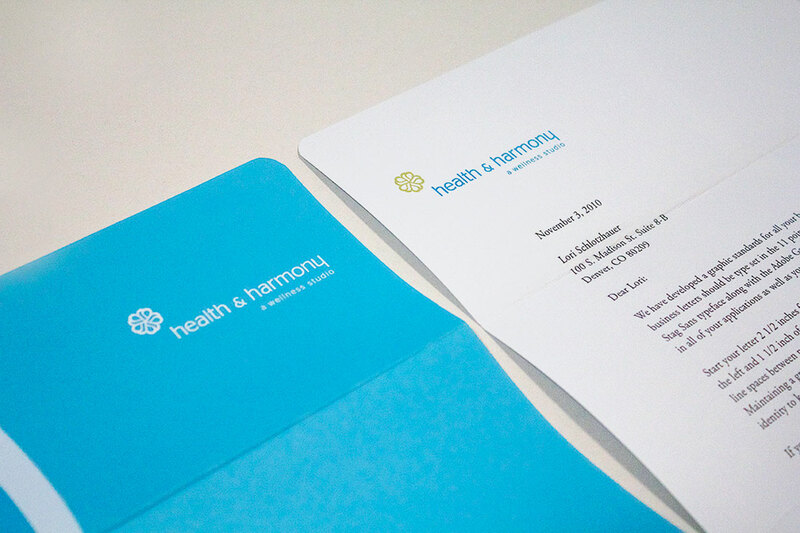 The overall design direction of Health + Harmony was to portray both energy and peace, while displaying information about offered services in an easy to understand format.